The Côte du Golfe School of Fencing (CGSF) provides fencing instruction for Naples, Bonita Springs, Estero, and Ft Myers. We are the only school in Southwest Florida certified to teach classes in classical and historical weapons as a martial art by a traditional Fencing Master. CGSF is a branch of the Martinez Academy of Arms in New York City, and as such teaches a style of fencing focusing on defense with a sword. 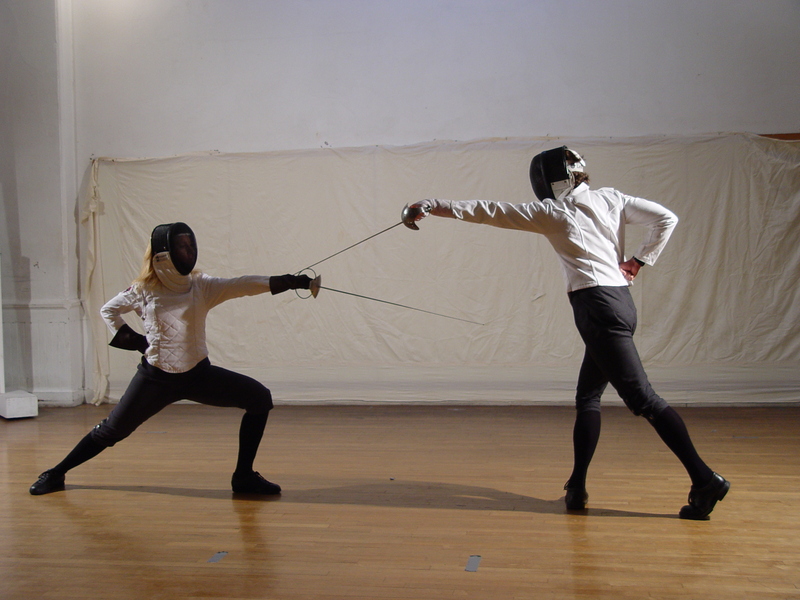 We share a discipline which was taught by fencing masters and practiced by duellists of the 18th and 19th centuries, and are steeped in a direct lineage of fencing knowledge that is generations old. This tradition is quite distinct from the more common modern, electrified sporting form of fencing. We teach primarily within the framework of the classical French school of fencing, which is the particular area of expertise of Dr. Russell Hogg, the school’s instructor. Instructor Hogg has more than two decades of intensive fencing background and is a certified to teach under the Martinez Academy of Arms, where he began studying in 2003. Fencing lessons build not only your general fitness and kinesthetic awareness, it also builds a strong sense of responsibility, respect, and self-confidence. Whether you are in great shape or not, we work with everyone to get you to your fullest potential. 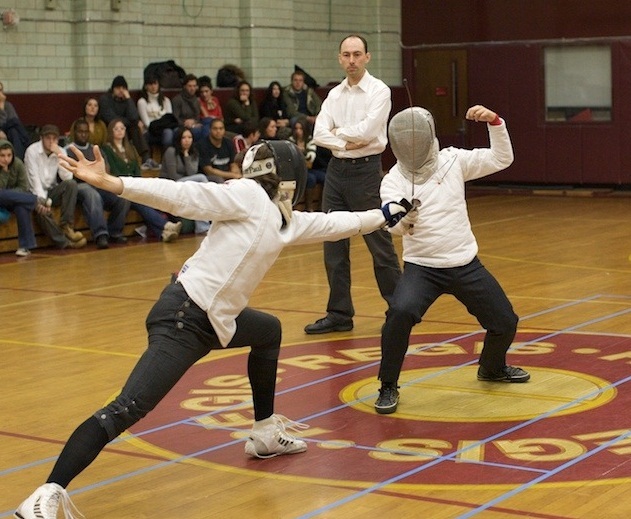 No prior experience is necessary, and anyone aged 13 and up may enroll in fencing classes. We foster a safe, collegial atmosphere where everyone feels at home, is welcomed, and has something to learn. Come take classes in this traditional Martial Art with us in Naples, FL!